CorkShare is the answer to sharing what you want with whom you want within a social media forum. It strives to relieve the problem of feeling slightly overly open about your interests to those you barely know by over-sharing on let's say Facebook or Twitter. The idea is catering to either open or closed conversations with a selected few, while chronologically archiving the on-going discussions. The brilliant part of the CorkShare concept is building and having shared boards with those you want to involve in very particular discussions, which isn't limited to social cliques, but is further extended into the business arena as well. 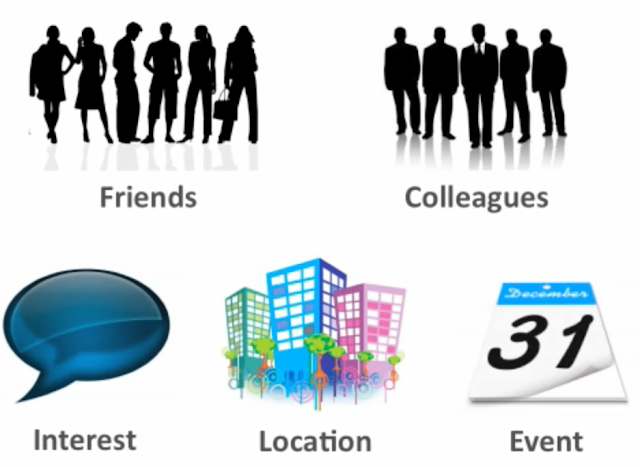 Businesses can link up--using this setting to go over projects and power point presentations too. Meet-up groups and clubs can also utilize this apparatus to share videos, links, articles, and anything else you can upload and download. 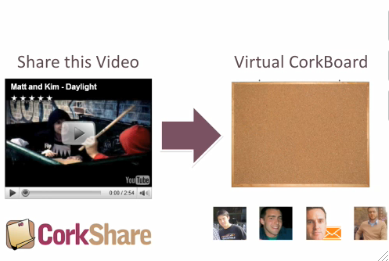 Cork boards are maintained live, and automatically chronicled sequentially by time. 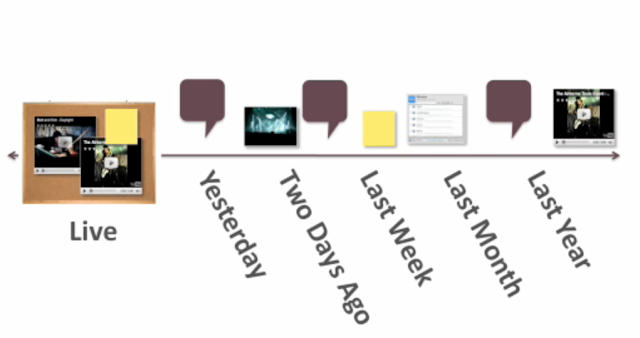 Users can keep a close track of the recorded discourse amongst their co-participants--which can be referenced back into the current dialogue seamlessly. In addition to creating virtual cork boards with handpicked parties, you can also stroll around and take part of any open sessions that might be of interest. 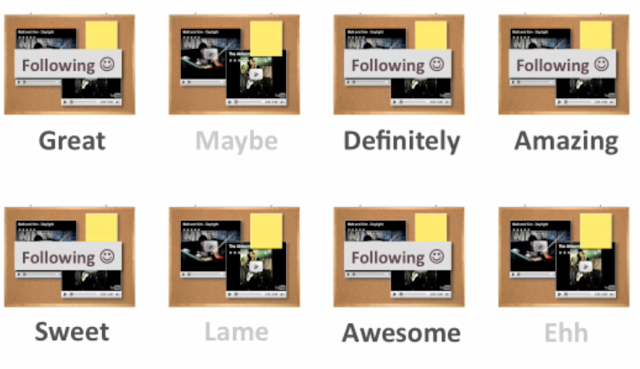 Panels are either locked or unlocked; and for those that are open, users can gain key access just by becoming a member of this particular group. 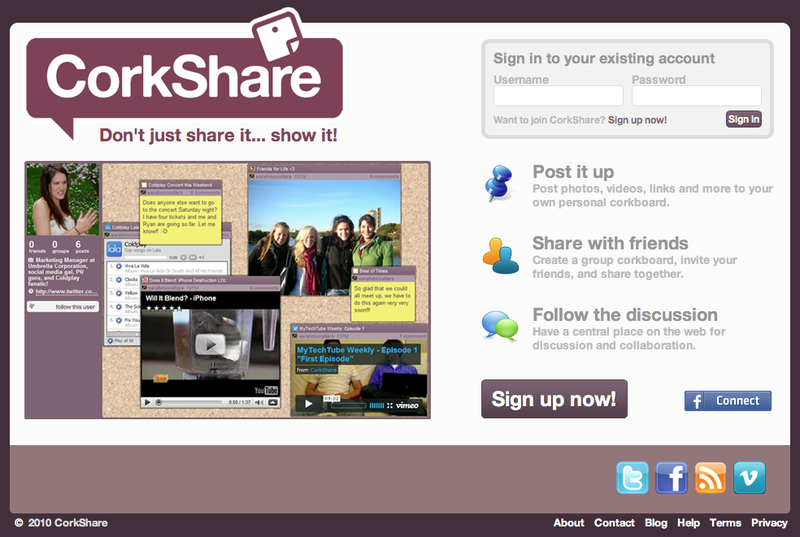 CorkShare launched on March 24, and we here at the NewsGallery think that there could be a lot of potential in this type of medium--as in it could be the next big thing, and what we've all been waiting for in the world of social networking. What do you think? Email me at dawnelardo[at]delardogallery[dot]com. Go HERE if you want to learn more or gain membership with your friends or colleagues.